Malfunctioning kitchen and laundry appliances can create serious problems.If you are searching a dependable company to take care of your appliances, get in touch with Appliance Repair North Plainfield! Our company offers high-quality services at the most reasonable prices. Whether you need home appliance repair, maintenance or replacement, you can count on us. Just give us a call today and schedule the appointment with our specialists. 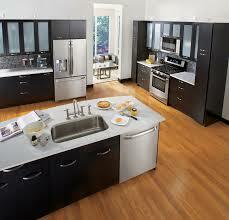 With our team, professional appliance service is guaranteed! When it comes to repairing appliances, make sure you’re hiring the right people for the job. Our appliance service technicians are qualified and certified to work on all types of large home appliances, including washers, dryers, refrigerators and more.Our team is capable of fixing any issue you may have. If you’re not sure how to fix your electric/gas appliances yourself, leave this task to professionals. Call North Plainfield Appliance Repair and our experts will take care of your unit in a timely manner. By partnering with our team for your appliance repair service, you will get a deserved peace of mind knowing your appliances work as they should. Our pros can handle any job with ease. We have the qualification to work on most of major brands. Whether you are thinking of your appliances replacement or installation, we can help you. Our appliance technicians can replace the existing unit or install a brand new one quickly and efficiently. We know how to complete such complex tasks with minimal interruption into your life. Whenever you find yourself in need of appliance repair or other services, contact our company! We can ensure that the job will be completed with the ultimate quality and at a price, you can afford. We don’t practice overselling, and don’t rate the job by the scope of work. 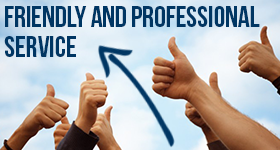 As your satisfaction is our primary goal, we will go above and beyond to deliver the utmost results!